Description: Darice Craftwood natural wood accent pieces are ideal for home decor projects, holiday ornaments and decorations, or handmade gifts. Darice Craftwood is unfinished so it can be customized with paint, paper and other embellishments. 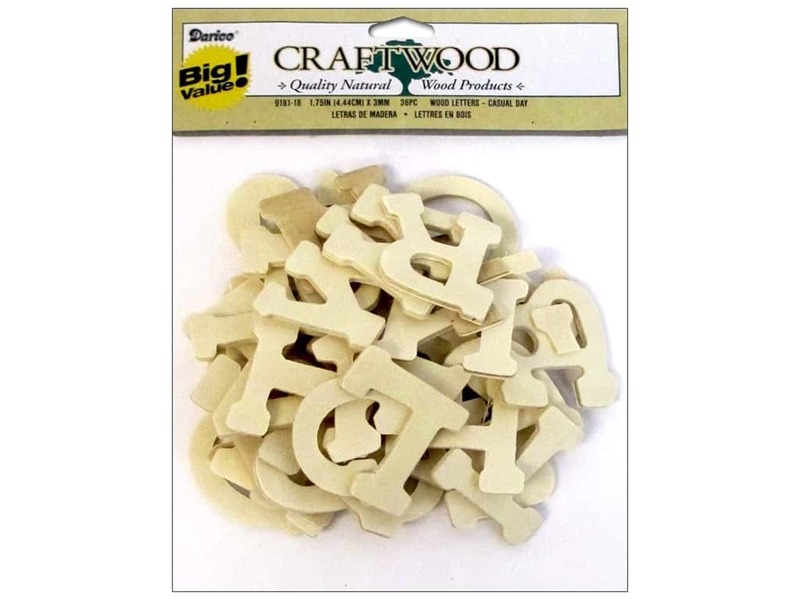 Craftwood Letters alphabet in Casual Day font. Size is 1 3/4 inch. 36 pc.